More small farms with fewer than ten or fifteen alpacas are being established each year. 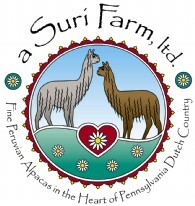 The industry is supported by one of the most impressive pedigree registries in the world - The Alpaca Registry, Inc. Monica is currently serving on the Board of the ARI. The other national organization is the Alpaca Owners and Breeder Association (AOBA) which throughout the years has produced and regularly broadcasts a thirty minute infomercial on the industry. The general public has a better understanding and acceptance of these wonderful livestock. Check out these articles and if you have more questions, send us an email and we’d be happy to answer them. 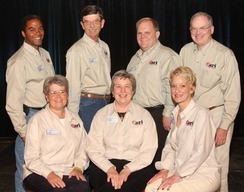 A momentous goal was reached for the alpaca industry during this year’s National Conference. While many of us were celebrating in Sandy, Utah, our farm businesses were being improved and positively impacted miles and miles away. And we didn’t realize that we had something much greater to celebrate than any show ring ribbon or championship banner. In Washington, D.C. on Thursday May 22, Congress enacted into law the Food, Conservation and Energy Act of 2008 – better known as the Federal Farm Bill. And with its passage … alpacas were declared livestock! The Importance of Your Farm Name, Logo and Website. What happens when a visionary Secretary of Agriculture gets together to brainstorm with the Department of Community and Economic Development? A loan program is born that can be described as nothing short of brilliant for the farming industry in the Commonwealth! That’s right; in Pennsylvania $100 million has been set aside for low interest loans to grow agribusiness – and ALPACA FARMS QUALIFY! We'll begin this section with a question - when's the last time you hugged your 501k? Okay, how about your entire stock portfolio? Your broker? Take some time to read about the value of owning alpacas and you will see why some folks refer to them as the investment you can hug. Owners/breeders come from all walks of life. We’re pretty sure if you queried the AOBA membership you’d find a butcher, a baker and an honest-to-God candlestick maker. An issue of Alpacas Magazine highlighted a former rock band member, former Mayor, former military member and a former horse jockey. We say “former” for all of these because they are all now full time alpaca farmers. I am quite sure that William Penn would've been an alpaca farmer. I am sure of this because, the more Pennsylvania alpaca farmers I meet, the more I realize that William Penn's "Holy Experiment" is alive and well nearly 326 years after the Charter of Pennsylvania was written. Let me explain ... first about Penn and then about the alpacas. The supply and demand of alpacas has been moderated by the effects of relatively slow herd growth. In 1994, the population of registered alpacas in the United States was only 5,368. In 2004, that number had grown to around 70,000. In 2007, the count was just under 128,000. It’s important to note that it is the responsibility of the breeder to notify the Alpaca Registry, Inc. of the death of any registered alpaca so it can be removed from the national registered herd count. That doesn’t always happen and judging by the age of some of the registered alpacas, it can be estimated that around 5 to 10 percent are too old to be productive, either for fleece or breeding stock.